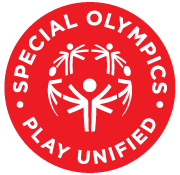 Unified Champion Schools® provides significant positive outcomes for participants, and can play an important supporting role in state, district, and individual school strategic goals, whether it be promoting a positive school climate, developing physical fitness, building character, preventing bullying, enhancing student engagement and promoting and building student leadership skills. It is the connections between initiatives – along with the whole school’s involvement in the design and implementation of UCS – that can foster a more inclusive and welcoming environment for all students. The Youth Activation Committee (YAC) is a group of youth comprised of members with and without intellectual disabilities from across the state. This group works together throughout the year to educate, motivate, and activate youth to become agents of change in their communities and advocate for the respect, inclusion, and acceptance of all people regardless of abilities. The State YAC uses a wide variety of tools to communicate effectively such as email, conference calls, Facebook, state summits, and state rallies. The goal of the State YAC is to reach out to other youth to help carry out social justice for all people. For more information about YAC contact Renee Shoaf.